"We see the eChampions League and competitive FIFA as an important step in connecting with existing and new fans of the UEFA Champions League." REDWOOD SHORES, Calif. & NYON, France--(BUSINESS WIRE)--Electronic Arts Inc. (NASDAQ: EA) and the Union of European Football Associations (UEFA) today announced the eChampions League, a pivotal tournament expansion to the EA SPORTS FIFA 19™ Global Series* and a brand new, authentic way for millions of football fans to connect to the UEFA Champions League through the competition. The eChampions League adds to the growing list of global events and competitions on the Road to the FIFA eWorld Cup 2019™ next summer. Eligible competitors will compete on PlayStation 4 and participate in eChampions League Global Online Knockout tournaments between March 2-3, with the top 64 players advancing to a live qualifying event on April 26-27. Only eight of the world’s elite will advance from the April live event to the eChampions League Final. 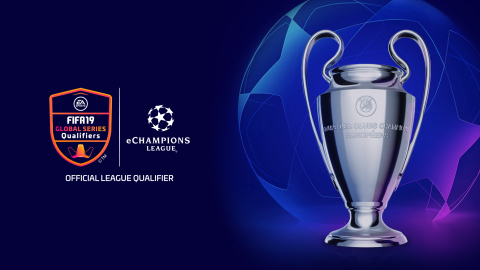 Hosted in Madrid on May 31, the eChampions League Final will be played a day before the real-world UEFA Champions League Final on June 1, creating a two-day celebration of digital and traditional football. As an Official Qualifier for the EA SPORTS FIFA 19 Global Series**, the eChampions League brings the authenticity and excitement of the competition to life out-of-game. 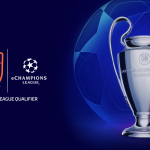 In addition to the tournament, fans can connect with the UEFA Champions League through many in-game features including the Tournament Mode, which contains all the drama fans crave from the group stage through to the illustrious UEFA Champions League Final. The Journey Champions concludes the iconic Alex Hunter’s narrative journey through his UEFA Champions League participation. Additionally, the global phenomenon FIFA Ultimate Team (FUT) features the UEFA Champions League for the first time and incorporates curated experiences throughout the football season. UEFA is the governing body of European football. UEFA's mission is to promote, protect and develop European football at every level of the game, to promote the principles of unity and solidarity, and to deal with all questions relating to European football. For more information, please visit UEFA.org.